Kathy de Stafford is one of Irelands leading bridal designers. Kathy, who is an award-winning designer, has been established for many years and is based at her salon in Exchequer Street, Dublin 2. The success of Kathy's business led to her opening another bridal boutique in Nenagh, Co. Tipperary in 1999, where Kathy also visits regularly to meet with brides. Both salons have a relaxed contemporary environment, perfect for choosing your dream gown. In October 2006 Kathy opened another salon "de Stafford Couture" in Howth, Co. Dublin which carries stunning creations by the world's most famous designers including "Valentino", "Manuel Mota", "Badgley Mischka" and "Ellie Saab". At these boutiques you can choose from a wide range of beautiful designs, both from Kathy's own designed to order collection and also from the best of the top international designers. She also caters for Bridesmaids, and carries a large range of accessories such as tiaras, veils, shoes etc. Thank you so much Angela! I bought my incredible Pronovia Orville dress in Kathy De Stafford! A beautiful boutique with fantastic range of dresses and designers! Angela recognised exactly what I was looking for within trying on two dresses and her honest opinion and excellent customer service made the experience relaxed and stress free! Thank you to all including the ladies in alterations where nothing was too much! I had such a magical experience at De Stafford Bridal (Dublin) and left there feeling ecstatic! Kathy is so amazing at what she does, and truly made me feel like a queen for the day. From the service to the beautiful selection of high quality dresses to the overall look of the boutique, I cannot recommend De Stafford highly enough. I had seen 2 other boutiques and they made my sisters and I feel worthless. One of these boutiques had torn and dirty dresses, and the other boutique (which portrays itself as high end and I'm not sure why as they sell flimsy dresses) gave their sole attention to the other bridal group that had a higher budget than mine. One of the sales women even walked right by us with glasses of Prosecco to offer the other party. They even had music playing and we didn't. If you're looking for a magical experience, beautiful dresses, top notch service and a memorable day, I highly recommend De Stafford Bridal in Dublin! I would highly recommend De Stafford Bridal. I had such a positive experience from start to finish and I absolutely loved my dress. I had an amazing time from the first day to trying my dress in Nenagh to all my fittings with Kathy. My dress was stunning. highly recommend De Safford. 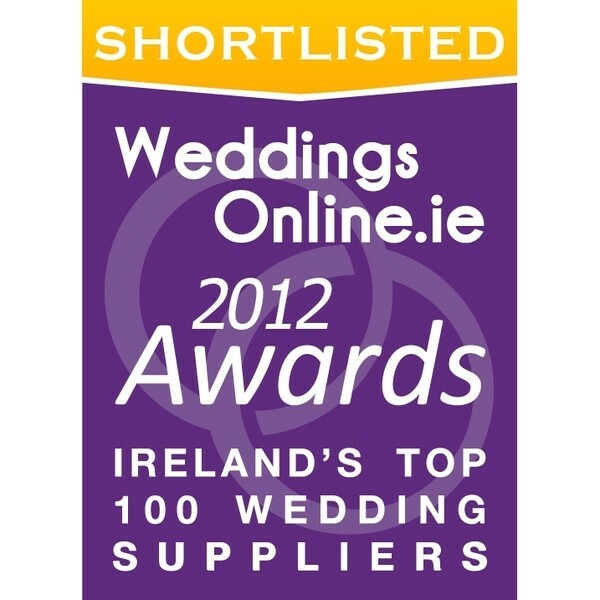 I had visited as many as 55 bridal boutiques from the top to bottom of Ireland. From my experience I can only but highly recommend that you visit Angela in the exchequer street store first to save some time, she has the patience of a saint and was a pleasure to deal with. Her customer service was second to none and possibly the reason I returned 4 times before finally purchasing a gown way over my budget!!!. They stock a wide range of gowns from Kathy's own designs to Pronovias, Gemy Maalouf, Raimon Bundo to name but a few. The Boutique is of a contemporary design with great lighting, lots of space and beautiful dressing rooms. If looking for a Bridal Gown in Dublin make sure Kathy De Stafford is top of your list. I cannot say enough good things about De Stafford Bridal. All the girls are incredibly knowledgeable, kind and a pleasure to deal with. True professionals from start to finish. Would recommend them to every bride. Travelled to nenagh from donegal and couldn't be happier that I did! Had such a lovely morning, de stafford bridal is a must, had trouble narrowing dress choice down to one. Staff were so friendly and helpful, louise had been in contact via email and was just amazing. Thank you!!! I was in this store recently and had the pleasure of dealing with Carlie. She was so polite, friendly, professional and really knew her stuff. She was able to recommend the most gorgeous dresses for me and wasn't pushy at all! I feel in love with 3 of the dresses she picked out for me, now I just have to decide! I can't recommend this shop enough the selection is amazing and the staff are just as great! Thank you to Carlie and I will be sending all my friends in to her too! I WOULD LIKE TO THANK SHARON, A TRULY WONDERFUL AND GENUINE LADY. MY WIFE VISITED MANY BRIDAL SALONS AND FOUND MOST STAFF VERY RUDE,AND "STUCK UP". SHARON CHOOSE A STUNNING GOWN FOR MY WIFE AND COULD NOT HAVE BEEN MORE HELPFUL.I WOULD JUST LIKE TO SAY MY WIFE WAS REALLY A PRINCESS ON OUR DAY. THE ONLY DOWN SIDE WAS I BARELY GOT ANY ATTENTION AS THE GOWN STOLE THE SHOW LOL. YOURS SINCERELY. I had visited a few shops in the quest to find my perfect dress but although others were good, none were as helpful and wonderful to work with as Lisa and the girls in DeStaffords. I had an idea in mind of what I was looking for but Lisa presented me with the most beautiful dress (that i probably wouldn't have picked out myself) and I instantly fell in love with it - she just knew what would suit me and I absolutely love it!!! They make dress shopping the fun and enjoyable experience it should be!! I booked a day full of appointments for bridal stores and De Stafford's was our last one on the list for the day. To my absolute delight by far the best. Last was certainly not least. The store its self is just how I imagined a bridal store would be. On my first appointment I was booked in with Sharon whom I found so fab, you could see she loved her work and had a great eye to what would suit your shape colour and height just from a glance, and I loved all the choices she out forward to me. The next appointment was with Rachel, who made me feel so comfortable and was so down to earth and not afraid to say what she thought of the styles which I found to a breath of fresh air, and of course Kathy herself, beautiful lady who helped me make my final choice which of course was my first one. I'm in love with my dress. A huge thank you to the girls and can't wait to get in again for my fitting. I HIGHLY recommend Kathy De Stafford, they tick all the boxes. Review by Karen (now Mulligan) married 28th May 2009. 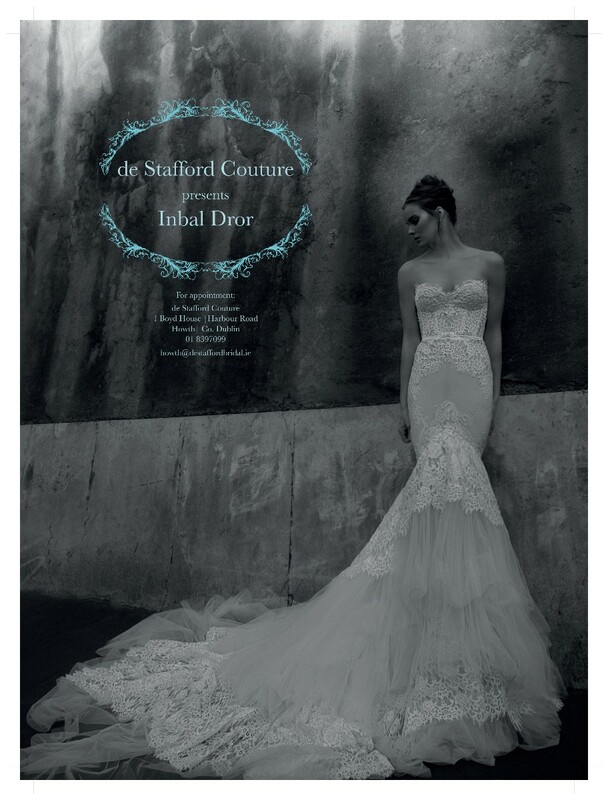 I bought my wedding dress (Ian Stuart) from de stafford couture in Howth, what a fab experience. I dealt with Kara who was just such a lovely lady and who made the whole experience a delight. Went to the shop on Exchequer Street for my fitting and again it was a total pleasure, the ladies who work for Kathy really know their stuff! This is how shopping for a wedding dress should be and dont be put off by other stores who dont know the meaning of customer service. If you want the best in advise, customer service and after care then visit Kathy de stafford and her staff. I have just visited de Stafford yesterday and I can honestly say it's the nicest bridal shop I have ever been to, the staff are so lovely, especially Magaret! They have a fantastic selection of dresses, you can try the dresses on in privacy without anyone in with you, although they do come in to help to zip you up when you want! It's fabulous, I am recommending this to all my nearest and dearest. I left the shop with a deposit paid on the dress I loved and I can't wait to wear it!!! Thanks De Stafford!!!! 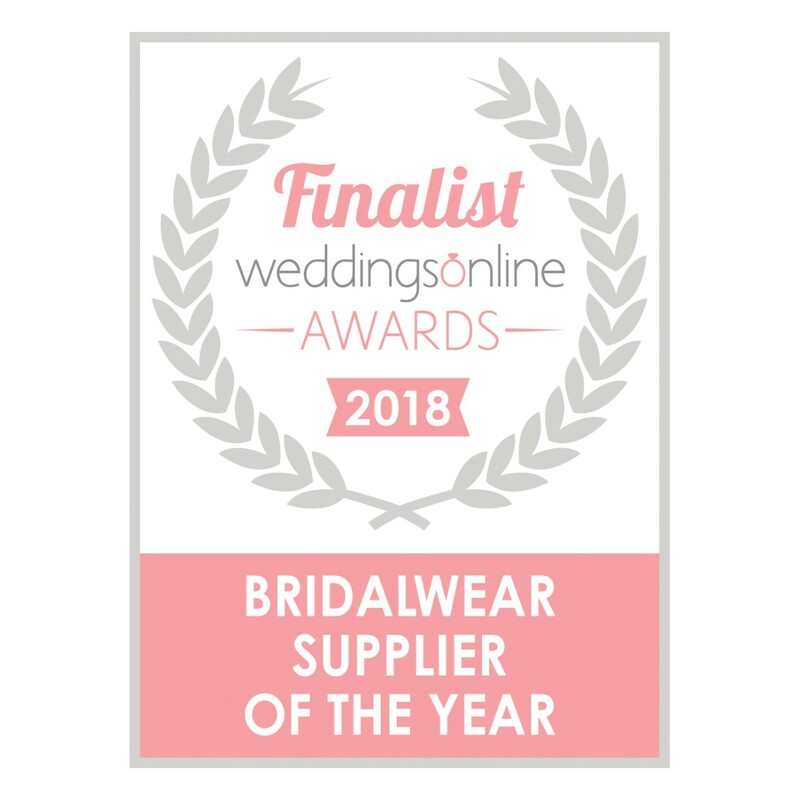 Ask weddingsonline - Where Can I Find the Perfect Tea Length Wedding Dress?